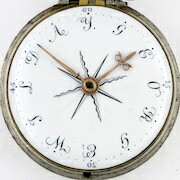 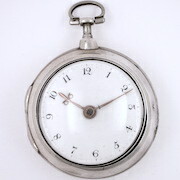 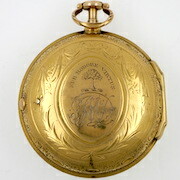 These are our late 18th century watches, including gold and silver repousse pair cased watches. 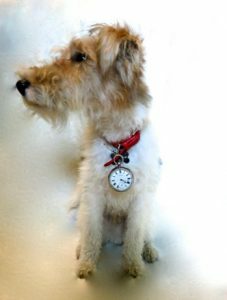 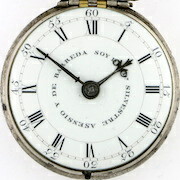 Many are London watches, mostly still with verge movements but also an increasing number with cylinder and duplex movements. 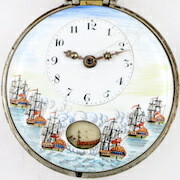 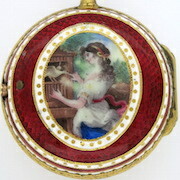 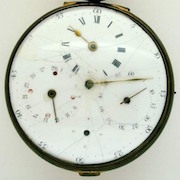 Gold & enamel case, 42 mm. 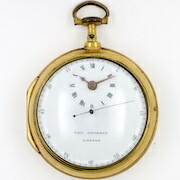 Gilt pair cases, 81 mm. 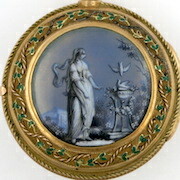 Gilt & enamel pair cases, 52 mm. 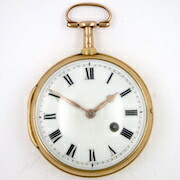 Gold pair cases, 51 mm.